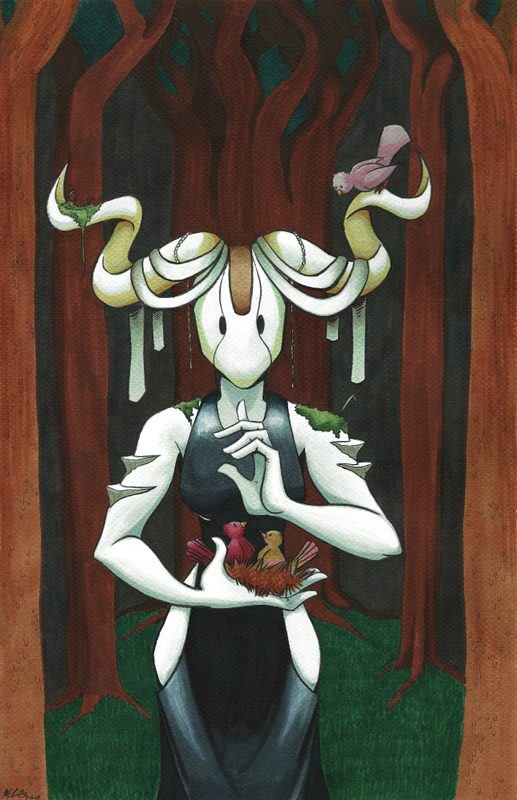 The Forest Spirit is more than just a spirit – she is a deity. She has been around since before written history. Her name has been lost to the ages, but she is forever present within the trees. When she moves, she moves slowly, thoughtfully, but deliberately. And when she is found, she will guide travelers by testing them – fail the test, and you are taken out of the forest, forever unable to find it again. She was originally just a sketch in my sketchbook, but she evolved into a forgotten god I put to use in my D&D campaign. She tested the heroes and weeded out the ones too cowardly to go to Innish Baugh (“Wrong Town”) to fight the final boss. This illustration was drawn and painted on green tinted pastel paper, with Copic markers, a Pentel sign pen, watercolor, and gouache. This was my first illustration working with colored paper and I REALLY like the results. At this moment, this illustration is a print ONLY available in the UK through Dragonhide Studios. 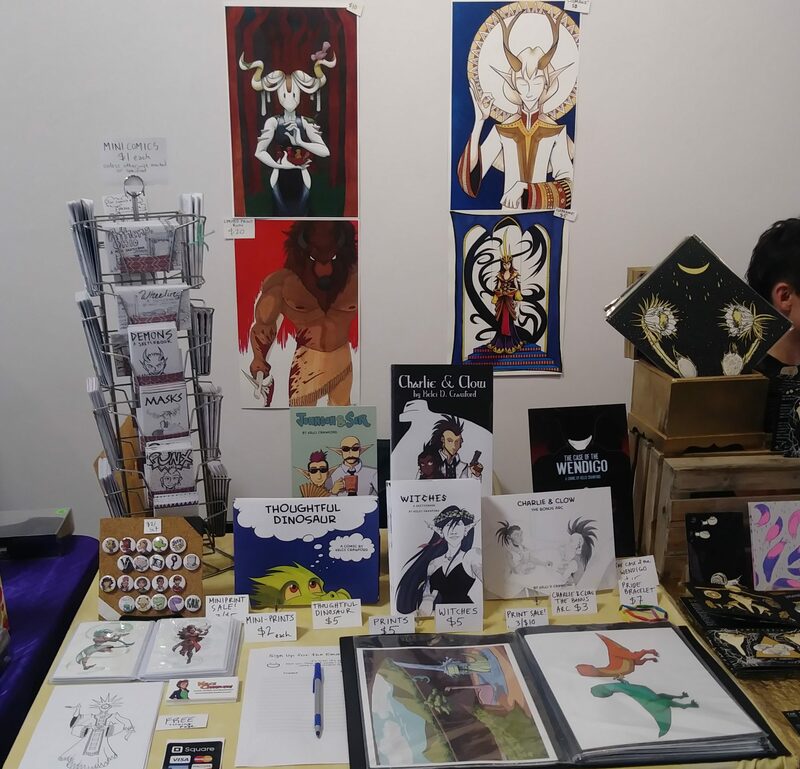 If you are based in the UK/Europe and are going to the conventions listed on this page, be sure to check out Dragonhide Studios to get this print if you’re interested! In the meantime I’m looking into US printers to get this nice, large illustration printed up for me for my US fans. Stay tuned!